In this article, we are going to discuss the tax implications in case of goods sent for job work before and returned after the appointed date. Job work means processing or working on raw materials or semi-finished goods supplied by the principal manufacturer to the job worker. This is to complete a part or whole of the process which results in the manufacture or finishing of an article or any other essential operation. For example, big shoe manufacturers (principals) send out the half-made shoes (upper part) to smaller manufacturers (job workers) to fit in the soles. The job workers send back the shoes to the principal manufacturer. As per GST Act, job work means any treatment or process undertaken by a person on goods belonging to another registered person. The person doing the job work is called job worker. The principal manufacturer will be allowed to take credit of tax paid on the purchase of goods sent on job work. However, there are certain conditions. D. In case goods are not received back within the period mentioned above, such goods will be treated as supply from the effective date and tax will be payable by the prinicpal. For more details, please refer our article on Input Credit on Job Work and ITC-04. It must be furnished on or before 25th day of the month succeeding the quarter. For example, for Oct-Dec quarter, the due date is 25th Jan.
For more information on ITC-04 please refer our article. This applies for items removed for job work before GST and returned on or after GST implementation. The goods are returned to the factory within 6 months from 1st July (i.e. by 31st Dec 2017) (extendable for a maximum period of 2 months). The principal manufacturer can sell off the items under job work only after paying required taxes (Excise & VAT if before GST. If he sells after 1st July 2017, then GST applies). This rule does not apply to goods exported out of India within 6 months from the appointed date (extendable by not more than 2 months). If the goods are not returned within the time period then ITC will be recovered from the principal manufacturer. They must specify the stock of the inputs, semi-finished goods or finished goods held by them on 1st July 2017. Please refer our guide on TRAN-1 for more details. For more information on Input Tax Credit on Job Work under GST and other input tax credit provisions please visit our blog. 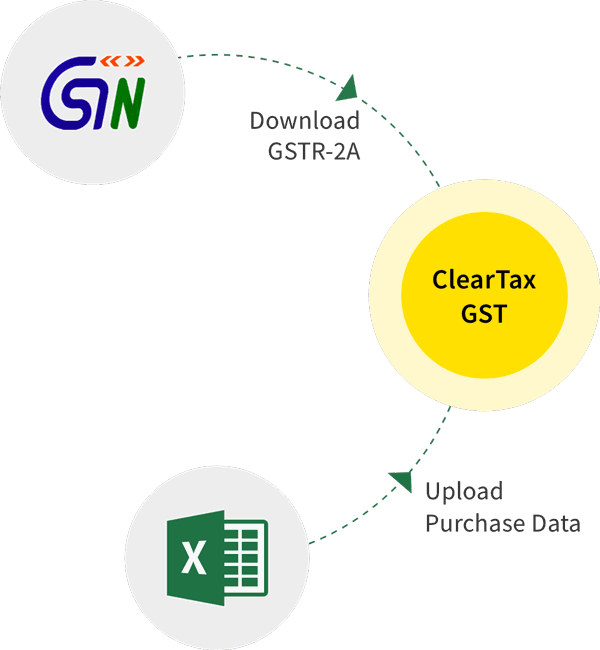 Be GST ready through ClearTax GST Software, an easy user-friendly versatile software which will help you to be GST compliant.